The Chinese technology giant Tencent recently overtook US rival Facebook to become the world’s most valuable social network company, with a market capitalisation of US$540 billion ($675 billion). Yet it is sitting on an advertising goldmine. Just 18% of its total revenue in the 2016 fiscal year came from online advertising. Compare this with Facebook’s model: advertising makes up 98% of its total revenue. So why hasn’t Tencent yet made the most of its advertising potential? To answer this, we need to understand Tencent’s monetisation strategy – and its philosophy on user experience. And to do that we need to go back to the company’s early days. Co-founded in 1998 by Ma Huateng (better known as Pony Ma) and four friends, Tencent launched its first product in 1999 – a free PC-based instant messaging service called OICQ, later renamed QQ. It secured one million users in the first year but the company remained unprofitable. It was only in 2001, following the launch of the MobileQQ messaging platform for mobile phones, that Tencent turned its first profit: US$1.2m on sales of US$5.9m. Three years later, Tencent was listed on the Hong Kong Stock Exchange. In 2005, it introduced Qzone – a multimedia social networking service. By 2010, thanks to Pony Ma’s decision to open up Qzone to apps from third-party developers, Qzone was the largest social networking platform in China with 492 million active users. Capitalising on the growing importance of mobile, WeChat was born in 2011. Since then, Tencent has added official accounts, payment services, a game centre and even an office chat app to WeChat. The app has become a central part of modern Chinese life. Investors rewarded the company for its successful growth. The company’s market capitalisation grew with a five-year compound annual growth rate of 40% for 2011-16 and it broke into the league of the top ten most valuable listed companies in the world in April 2017. Tencent’s monetisation strategy so far has been counter-intuitive to the traditional way of doing business: where companies first create a product or service and then seek customers. In contrast, Tencent started with a distribution platform and built its reach before moving on to monetise its diverse applications. Its biggest revenue stream through the 2010s has been value-added services. Chiefly from smartphone and PC-based gaming, and also from social networking (digital content subscriptions, membership subscriptions and selling virtual goods) – accounting for over 70% of its total revenue. The rest has come from online advertising and e-commerce. Gaming has thus developed into Tencent’s core revenue stream. By 2020, mobile gaming is expected to be larger than all traditional platforms for games (such as console and PC) and Tencent has positioned itself at the forefront of this race. Since the inception of online gaming, Tencent has meticulously worked towards securing its position as the largest developer and operator of online games for desktop personal computers. It turned its attention to mobile gaming in 2013 by launching game centres in Mobile QQ and WeChat, giving it a large mobile games user base. Then over the past few years it has focused on the global gaming market, buying stakes in or making large acquisitions of overseas gaming companies, thus becoming the world’s largest online gaming company – controlling a 13% market share. Its game revenues passed the US$10 billion mark in its 2016 fiscal year. In mid-2017, when the Chinese government accused it of causing gaming addiction with its mobile game Honour of Kings, the biggest game ever in China, Tencent restricted play time for younger users at home. 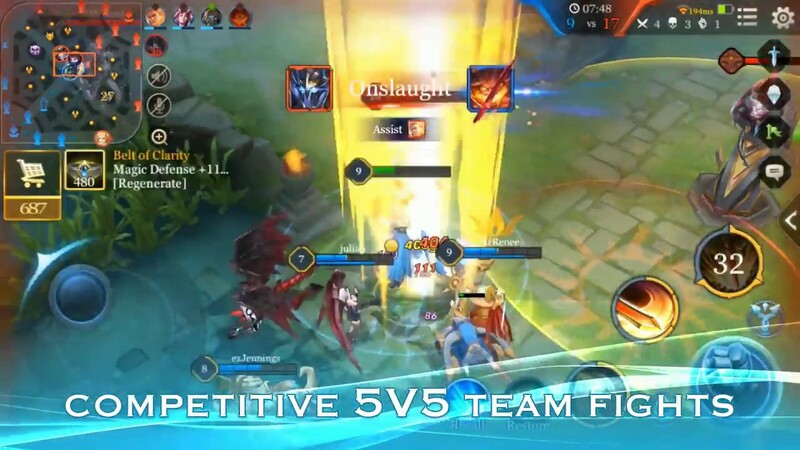 But at the same time, it brought the game to Western markets, launching Honour of Kings in Europe, North and South America under the new name Arena of Valor. Clearly, the world is Tencent’s playground for the online gaming business. In this context, it’s perhaps unsurprising that Tencent hasn’t yet felt the need to leverage the advertising potential of WeChat – it’s had plenty of other profitable revenue streams to focus on. That being said, advertising revenue has increased at more than 50% year on year since 2013, to make up 18% of total revenue in 2016. It is clear that this is definitely a growing revenue stream. Tencent launched ads in its WeChat official accounts, which brands use to interact with customers, in mid-2014, and WeChat Moment (the photo sharing app) in early 2015. In 2017, Tencent claimed that it had the ability to build “a whole advertising ecosystem”, providing tech, data, content, media and so on. But it has exercised careful control over the number of ads on people’s feeds to ensure they wouldn’t have an adverse effect on the user experience. For example, WeChat limited the number of native ads shown in a user’s WeChat Moments feed to one per day. It is highly conscious of the challenge to balance its monetisation efforts with the tolerance of its user base for advertisements. According to news reports in late 2017, Tencent was still not getting more aggressive on advertising because it was working on understanding its users for better targeting – to increase the likelihood of people clicking the ads. Hence, targeted advertising using behaviour data can become Tencent’s engine for growth in coming years. Tencent is just beginning to scratch the surface of the potential advertising goldmine.